was actually [shredding]. It didn't have any hands of course, but you could sense the air guitar was there." 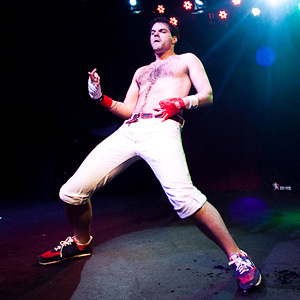 Courtesy U.S. Air Guitar Air guitarist Sanjar The Destroyer punctuates his performance under a shower of confetti. U.S. Air Guitar Vlad DM Wailer takes flight, evoking an airborne Chris Farley. Courtesy Kyle Dean Reinford Juris Rocktor has jumped from a balcony and been smothered in peanut butter for the sake of air guitar. 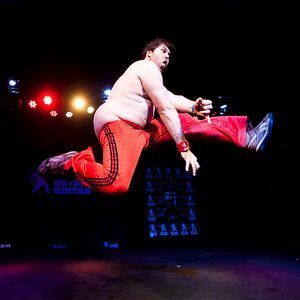 Courtesy U.S. Air Guitar The Shred is a 48-year-old contractor and father of three who relentlessly pursues "the airness." at his house. He's a member of two air bands, Air Force One and Category Sixx. 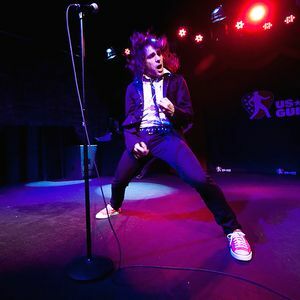 Courtesy of Kyle Dean Reinford Hot Lixx Hulahan, the 2008 world champion of air guitar, advises "if you don't know what you should do out there, just rock hard." 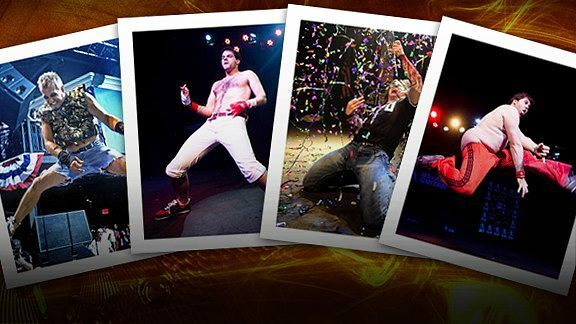 Courtesy of Kyle Dean Reinford Björn Türoque wrote a book about the art of air guitar -- "To Air Is Human."